Chesterfield County Public Schools continues to be cited as a model for excellence in public education. In a little more than a week, nearly 45,000 households will entrust their most precious possessions – more than 60,000 children – to us daily. As a community leader, Chesterfield County Public Schools is preparing students for successful futures and creating a better tomorrow. Having just adopted a dynamic new strategic plan, Imagine Tomorrow, we are on the cusp of creating classrooms of the future that will allow our students to soar to even greater heights. For the past three months, your School Board has conducted a national search for the right leader to help us imagine tomorrow. Through the assistance of two nationally recognized former superintendents – Dr. Ann Clark, formerly of Charlotte-Mecklenburg, and Dr. Terry Grier, formerly of Houston – we attracted approximately 30 highly qualified superintendent candidates. 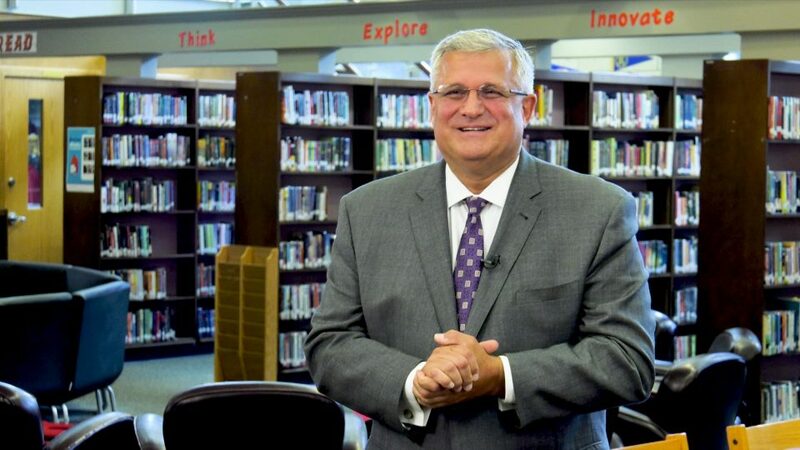 After a thorough and rigorous interview process, the School Board and I are excited to announce our intention to appoint this afternoon Dr. Merv Daugherty as the next Superintendent of Chesterfield County Public Schools. Dr. Daugherty, the 2015-16 Delaware Superintendent of the Year, comes to Chesterfield County from Red Clay Consolidated School District in Wilmington, Delaware. There, he led the largest and highest achieving school division in the state. Learn more about our selection process and about Dr. Daugherty by watching these videos. We already are viewed as a leader in public education within Virginia and across our great country. We are on the cusp of being a world-class school division. We are excited about the skills that Dr. Daugherty brings to help us reach that next level of excellence in education.